What makes Verne & Ellsworth Hann stand out from the crowd? Verne & Ellsworth Hann was founded on the principles of professionalism, integrity, and outstanding customer service. These values live on today under the leadership of brothers Chris and Bill Hann, who provide customers throughout Cleveland and Northeast Ohio with quality services and products at honest prices. 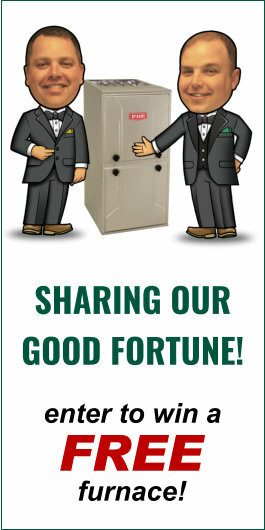 Verne & Ellsworth Hann treats its employees like family, rewarding them for their invaluable contributions. The company has subscribed to the Better Business Bureau (BBB) Code of Ethics since 1956 and has been the recipient of the BBB Integrity Award. 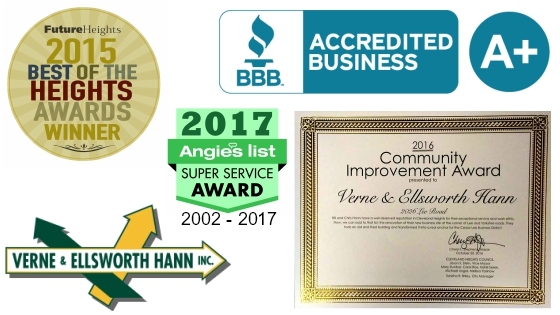 The team at Verne & Ellsworth Hann is exceptionally knowledgeable about all things HVAC, heating, cooling, plumbing, air quality, and specializing in steam and hot water boilers. Whether repairing a boiler, installing a state-of-the-art furnace, or tuning-up an air conditioning unit, Verne & Ellsworth Hann has the most extensive experience in Cleveland. Our technicians are continually learning and evolving technically to keep up with the latest technologies in heating and cooling. As such, the scope of services Verne & Ellsworth Hann offers cannot be beat. No matter where you live, Cleveland Heights, Shaker Heights, Beachwood, University Heights or the Greater Cleveland area, we are confident that Verne & Ellsworth Hann is right for you.